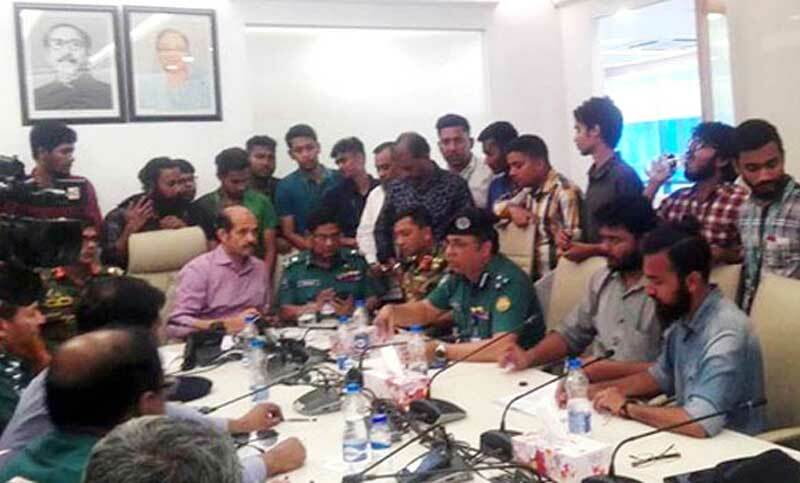 The students, who were demanding safe roads and justice for Bangladesh University of Professionals (BUP) Abrar Ahmed Chowdhury, have suspended their movement until March 28. After the meeting, Atiqul Islam said: "All demands placed by the students are logical. I will try to implement all of those by one week." After the meeting, Atiqul Islam said: "All demands placed by the students are logical. I will try to implement all of those by one week."